After an overwhelmingly successful tour with the production Red Cliff by the National Center for the Performing Arts Beijing, Wu Promotion will present in September another large-scale tour in Europe. 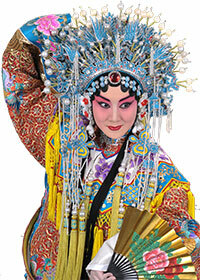 This time, the talents of the Peking Opera Theater Company of Beijing will perform in Germany and Italy. The Ensemble, which enjoys an incomparable status in the Chinese performing arts scene, will introduce the traditional pieces of Peking Opera within a Peking Opera Festival. Thereby, the characteristics of the genre will be especially highlighted, since Peking Opera relies particularly on imitation, exaggeration and symbolism. While props play a rather subordinate role, the pantomimic gestures, accentuated by singing and acrobatics, are at the forefront. 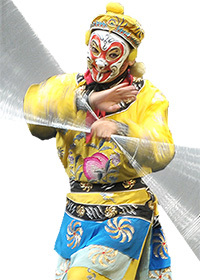 The Peking Opera Festival offers the audience the opportunity to experience this unique form of art at close quarters. The pieces of the traditional Peking Opera are deeply rooted in the Chinese culture, without background knowledge this tradition-rich stage art becomes barely accessible. 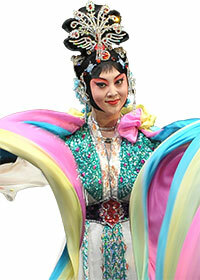 Within the scope of an accompanying moderation, the spectators will be familiarized with the essential characteristics of Peking Opera, like for example the vivid facial make-up. 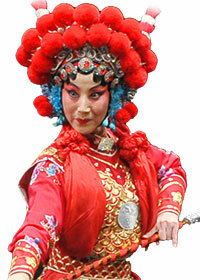 The Peking Opera classics of the festival program are cast with China’s most distinguished Peking Opera stars. 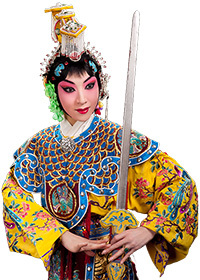 With a comprehensive repertoire, the ensemble and tour makes a valuable contribution to the development of Peking Opera as well to international cultural exchange. Wu Promotion is pleased to organize this tour together with its local partners China Entertainment and Nuovo Opera Italiana. "Autumn River", "Presenting a Pearl on Rainbow Bridge"
As a charming moderator, Gerhard Schmitt-Thiel leads through the Peking Opera Festival in Germany. 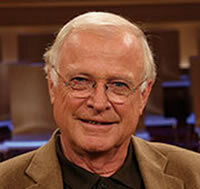 Mr. Schmitt-Thiel has worked for the most important German television channel ARD for many years and is especially known through his moderations for the Circus Festival in Monte Carlo and for the Vienna Opera Ball. 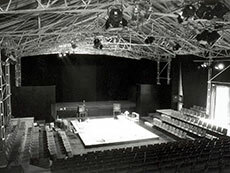 Besides, during twenty years he organized the grand Christmas TV-Gala “Stars in der Manege”. He is a distinguished recitor with a predilection for classical music who commits himself to different aid organizations for children in Bavaria. "The Goddess Of Heaven Scatters Flowers", "The Eighteen Arhats Fight Wukong"
This tragic story about revenge between families is set in ancient China. With an order by the emperor, the treacherous and powerful official Tu Angu frames minister Zhao and slaughters his entire family with the exception of his daughter-in-law Princess Zhuang Ji and her infant son Zhao Wu. The mother entrusts Zhao Wu to the family’s friend Cheng Ying who, disguising himself as the obstetrician, smuggles Zhao Wu out in a medicine box. Having learnt that Zhao Wu is the only surviving orphan from the Zhao family, Tu Angu threatens to kill all the infants in the county if Zhao Wu is not found. To save the orphan and all the infants in the county, Cheng Ying sacrifices his own son for Tu Angu to mistake for Zhao Wu. Many years later, Cheng Ying reveals the truth to Zhao Wu who sets out to avenge his family and finally manages to assassinate Tu Angu. This story is part of the classic Chinese novel “Romance of the Three Kingdoms”. In order to kill the treacherous minister Dong Zhuo, the general Wang Yun schemes a vicious plan. One day, Wang Yun invites Lü Bu, Dong Zhuo's fostered son, to a banquet in his residence and draws Lü Bu's attention to his adoptive daughter Diao Chan. Enchanted by her beauty, Lü Bu is overjoyed when Wang Yun promises her hand in marriage. A few days later, Wang Yun repeats the same scenario, this time inviting Dong Zhuo as the guest. Wang Yun allows Dong Zhuo to bring Diao Chan home where she becomes Dong's concubine. Wang Yun’s cunning plan succeeds when Lü Bu, assuming that Dong Zhuo has taken his bride away, assassinates his own father is united with Diao Chan. This piece is a Chinese legend, which has been used as a popular subject in several Chinese operas, films and television series. The story tells of a young scholar Xu Xian who falls in love with a beautiful woman, unaware that she is actually a thousand-year-old white snake that has taken on human form. A monk named Fahai, envious of their love, devises many wicked plans in order to separate the couple. After many trials and tribulations, the white snake and Xu Xian are reunited. During the Northern Song Dynasty General Jiao Zan is exiled to a desert island after being framed for a crime. Warrior Ren Tanghui is ordered to trail after Jiao Zan to protect and rescue him. When Jiao Zan comes to rest in an inn at the Cross Roads, the owner of the inn, who also acknowledges Jiao Zan’s innocence, mistakes Ren Tanghui for an assassin set to murder Jiao Zan. As the misunderstanding ensues, the two fight fiercely in the dark. 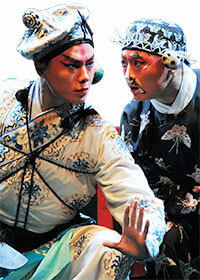 “Farewell My Concubine” is the classic tale of tragic love between the General Xiang Yu and his concubine Yu Ji. The story takes place at the end of the Qin dynasty. In the hours before the defeat of Xiang Yu’s army from the Chu states to his enemy Han Xin from the Han states. Xiang Yu orders his soldiers to invade Han Xin's territory. Han Xin then ambushes Xiang Yu at Shili Mountain. While trapped, Xiang Yu hears a song of the Chu state and wonders if the Han soldiers have been defeated, however it is just a trick. Realizing the dire situation that has befallen them, Yu Ji comforts her lover with a sword dance and as the invading army approaches, Xiang Yu fights gallantly, but to no avail. During the Song Dynasty, a scholar Pan Bizheng, nephew of an old nun, falls in love with Chen Miaochang, a young and well-educated nun. The old nun is furious and forbids them to continue their relationship, and forces Pan Bizheng to leave for a far-away place. Upon hearing this, Chen Miaochang runs away from the nunnery in pursuit of Pan Bizheng. On her way, she meets a jocular, elderly boatman, who eventually helps her catch up with her lover. A celestial maiden named Ling Bo admires a young scholar named Bai Yong for his talents. It is love at first sight when they unexpectedly met on the Rainbow Bridge. Ling Bo sends Bai Yong a pearl symbolizing their eternal love. However, this union goes against the rules of Heaven; the immortal guards come to capture the celestial maiden Ling Bo. Ling Bo fights back, defeats the immortal guards and the lovers eventually reunite. This is an episode taken from the famous love story between Emperor Minghuang of the Tang Dynasty and his beloved concubine, Yang Yuhuan. One day, while Yang is enjoying a banquet with the Emperor, he unexpectedly leaves to go to the West Palace, the quarters of another concubine. Saddened by this occurrence, she drinks away her melancholy alone at the Baihua Pavilion until she becomes intoxicated. This excerpt is based on a Buddhist tale. While preaching to the disciples, Vimalakirti develops an eye problem. When Buddha Sakyamuni learns about this, he senses that something is amiss and sends a celestial maiden to check if the disciples have been diligently cultivating themselves to the Buddhist doctrine. When the maiden scatters flower petals, they magically stick to the disciples, which signifies that they have not been learning Vimalakirti’s teachings properly. 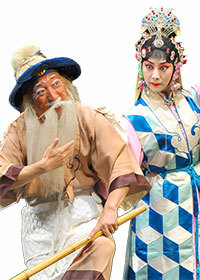 This is an adaptation of a chapter from the Chinese classic novel, Journey to the West. Sun Wukong, the Monkey King, causes havoc in the heavenly palace with his mischievous tricks. He is captured and thrown into the Eight Trigram Furnace; instead of being reduced to ashes, he develops a pair of fiery eyes with golden pupils. When he breaks out of the furnace, Buddha is so enraged that he sends his disciples, the Eighteen Arhats, to capture Sun Wukong in a series of spectacular acrobatic battles. Sun Wukong exerts his brilliant magical and martial arts powers and eventually defeats all the Arhats and returns home to Huaguo Mountain.